Tigers general manager Al Avila can say it now. 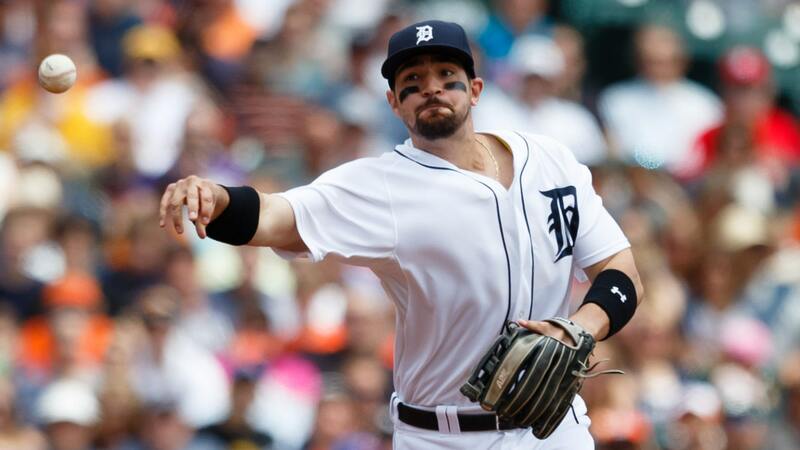 The Tigers brought third baseman Nick Castellanos to the majors too soon, making him their starting third baseman less than four years after drafting him with the 44th-overall pick out of Archbishop McCarthy (Fla.) High School in 2010. "Nick got to the big leagues very quickly, being a high-school draft," Avila said Wednesday. "Yes, he was immature. I don’t think he really, fully understood the game. He got there because of his ability and an organizational need we had at the big-league level. "He ended up completing his development at the major-league level. When you develop at the major-league level, you make mistakes. It can frustrate a lot of people. You’re still learning the game, still trying to figure things out. That’s what the minor leagues are for." Castellano, after nearly 1,300 plate appearances in the majors, still does not believe his development is complete — heck, he only turned 24 in March. But he sure looks much closer to a finished product, leading the American League with a .378 batting average and ranking seventh with a .996 OPS after 25 games. Regression is inevitable — Castellanos also leads the majors with an absurd .455 batting average on balls in play. Then again, as he continues to hone his craft, his ability to adjust and maintain should only improve. "I can’t really explain it. It’s not like I figured anything out. 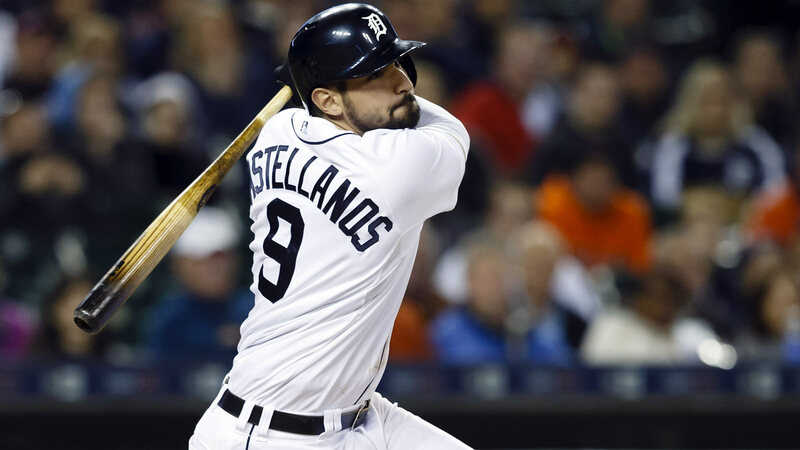 I’m still trying to learn and get better every day," Castellanos said Wednesday in a telephone interview. "I would just say the biggest thing that has changed has been my comfort level, being familiar with all the pitchers and stadiums and situations. I feel way more relaxed. I feel like I’m not trying to do too much." That trend began last season, when Castellanos showed the fifth-largest improvement in plate discipline in the second half, as measured by his percentage of swings outside the zone. According to Fangraphs, that percentage is up again this season and he’s barely walking, but his contact rate and hard-hit percentages are at career-high levels. In other words, he’s seeing the ball extremely well. "There is a difference. The difference is maturity," Avila said. "He understands how pitchers are going to work him, how he is going to be attacked. He’s not out there trying to hit on pure athletic ability. Now he’s unwinding that other aspect of hitting. And he’s smart enough to learn it. "Some guys never realize that maturity — they go up, see a fastball, react to whatever is coming. And some guys can prepare more. Miguel Cabrera has tremendous hand-eye coordination. But he has a game plan at-bat. Now Nick has a game plan at-bat. It’s a big difference for him." Castellanos, in his third full season, said that he still feels "like a rookie" in the Tigers’ veteran-laden lineup, mostly batting sixth. The benefit is that he watches hitters such as Miguel Cabrera, Victor Martinez, J.D. Martinez, Ian Kinsler and Justin Upton every day, picking and choosing from them what he likes, what he thinks might work for him. His defense, never a strength, is another area of focus. During the offseason, Castellanos said he worked to become quicker and more agile, running, jumping rope, performing ladder drills. He loves it when he makes a good play and a pitcher points at him in appreciation, fired up by the moment. "That’s what being a team is," Castellanos said, "doing things to help everybody achieve more." He doesn’t sound 24. He sounds, well, mature. "Even though I’m hot right now, it doesn’t mean I am where I want to be," Castellanos said. "I want to be better today than I was yesterday, defensively and offensively. Every day, I can learn something that can help me. "A very good piece of advice that I got is, ‘The guys who are great in the big leagues are looking for ways to get better even when they’re going really well.’ That’s what I’m going to try to do — try to figure out ways to get better. Even though I’m going well right now, it doesn’t mean I’m where I want to be." MARLINS ACTING LIKE . . . A REAL TEAM! The Marlins historically are only one losing streak from chaos under owner Jeffrey Loria. 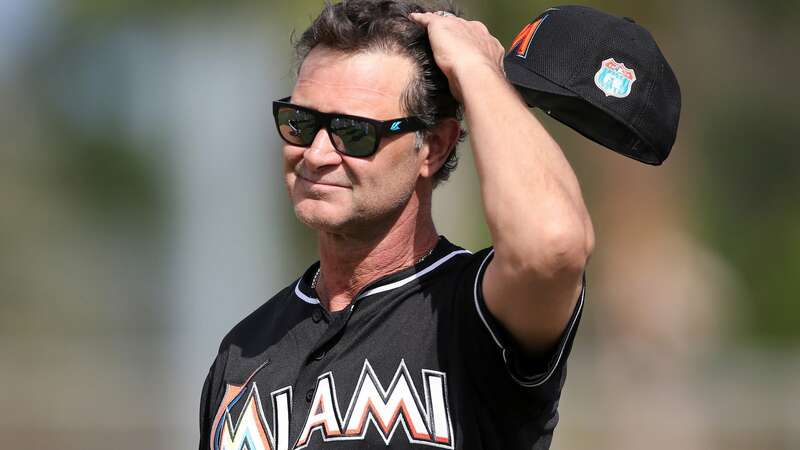 But multiple people with the club say that the current vibe under manager Don Mattingly could not be much better. Winning, of course, helps, and the Fish have won nine of their past 10 games, including four of five since the suspension of second baseman Dee Gordon. Still, both assistant GM Mike Berger and first base/infield Perry Hill used almost the same phrases to compliment Mattingly in separate interviews, saying that he holds everyone accountable and doesn’t miss a thing. "He addresses everything," said Berger, who traveled with the club on a recent 10-game trip to San Francisco, Los Angeles and Milwaukee. "And he addresses it in a way that makes you feel like a million bucks." Mattingly, though, isn’t the only positive influence in the Marlins’ increasingly unified clubhouse. Right-hander David Phelps, in addition to producing (eight) straight scoreless appearances, is also demonstrating leadership qualities — unusual for a pitcher in a setup role. "He’s stepped up any number of times in spring training and on the most recent road trip," Berger said. "He’s been the right voice at the right time." The Mets’ limited use of defensive shifts qualifies as something of a surprise, considering that Mets GM Sandy Alderson was one of the first executives to employ modern analytics. But only two teams have employed fewer shifts than the Mets, according to Fangraphs — the Red Sox and Marlins. "It’s not philosophical," Alderson said. "We try to be very practical in our approach to the game. "First of all, you have to define what a shift is. I’m assuming that you define a shift as an extra player on one side of the bag or another. We don’t have as many of those profound shifts. But we do position pretty aggressively, based on the data we have, even when we’re not doing a shift by definition." And yet, the Mets do not simply go by the numbers. 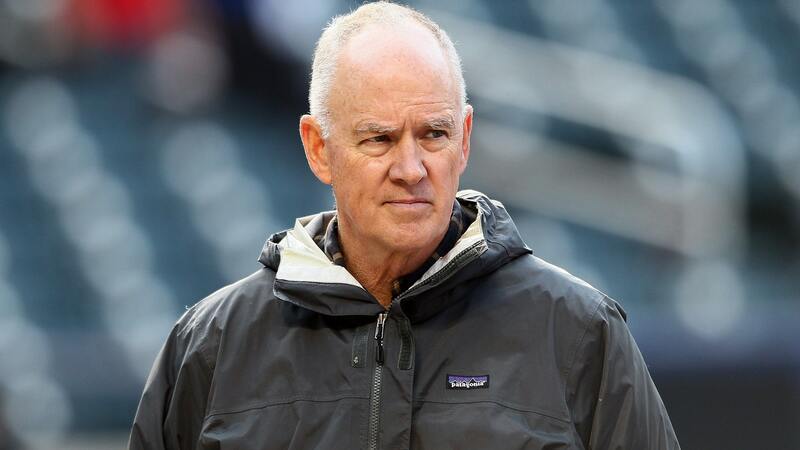 "We don’t position strictly on the basis of the analytics," Alderson said. "We also do so on the basis of who’s pitching, what the game plan might be. And secondly, we give our infielders a certain amount of discretion as well. "It’s not a matter of, ‘Well, our pitchers don’t like it.’ Pitchers are not necessarily that involved in the decision-making, but at the same time, it’s not an all-analytics proposition for us. It’s also about velocities, how somebody is being pitched, what has happened during the course of the game. "I know that would be anathema to a typical analyst where you can’t dilute the data. But we do take that into consideration as well. It’s something we constantly look at. From our standpoint, we’re doing a lot of shifting. It’s just not as radical as you see with some clubs." Ian Desmond started in center field for the Rangers on Wednesday night, and club officials have discussed the possibility of keeping him there when Shin-Soo Choo comes off the disabled list, with red-hot rookie Nomar Mazara playing the other outfield corner. Obviously, something else might happen before Choo is ready to return from his strained right calf, perhaps by the middle of the month. But the Rangers need not remain committed in center to Delino DeShields, who is batting only .239 with a .623 OPS. DeShields’ struggles do not necessarily come as a surprise — he jumped right to the majors last season after the Rangers selected him from the Astros in the Rule 5 draft, and the only six games of his career at Triple A came on a rehabilitation assignment. In the big picture, as stated previously, the Rangers possess numerous options going forward; Desmond and first baseman Mitch Moreland are their only potential free agents at the end of the season. In the outfield, their choices include Choo, Mazara, DeShields, Ryan Rua, Triple A center fielder Lewis Brinson and Double A outfielder Ryan Cordell. Joey Gallo and infielder Jurickson Profar, both at Triple A, are long-term options in the infield, though the Rangers are set everywhere but first. We’ll say it again: The Rangers are positioned as well as any club to make a major play at the deadline. Ideally, they would add a starting pitcher and a catcher.